Fredericksburg, VA— A combat veteran with four tours to Iraq spanning two wars, Fred Wellman knows about taking calculated risks. Five years ago, the 22-year Army veteran used the last $19 in his rainy day fund to stake a claim to his new company’s place on the internet. What started as one man with a single-page website is now the leading communications and advocacy firm specializing in veterans and military family issues with seven employees and a flagship office in Fredericksburg, Virginia. 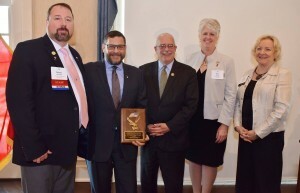 On March 24, 2016, that growth culminated in Wellman being named the ‘2015 Virginia Small Business Veteran of the Year’ by the Virginia Small Business Development Center Network. 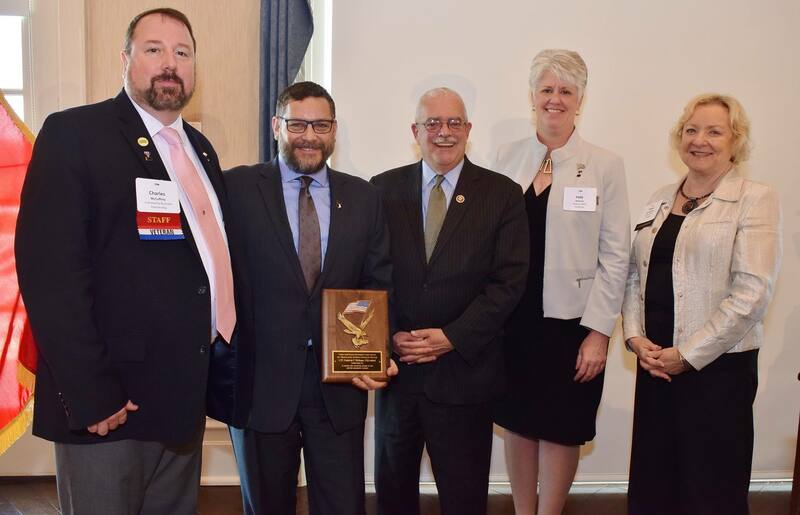 This award recognizes a veteran entrepreneur who has made a significant contribution to the economy through ownership of a Virginia Small Business, makes a difference in their community by promoting a sense of duty and volunteerism, and supports veterans. Wellman demonstrates this commitment to positively impacting veterans and military families through ScoutComms’ work with organizations and companies who support them. ScoutComms, a Certified B Corporation, is the nation’s premier communications, advocacy and philanthropic strategy firm focused entirely on supporting veterans, military families and the organizations that empower them. As a Certified B Corp, ScoutComms has publicly committed to using the power of its business to solve social problems facing veterans and military families. The firm works with top non-profits, Fortune 500 companies, innovative veteran-focused small businesses, foundations and government agencies. Wellman is a retired Army officer and graduate of the United States Military Academy at West Point and Harvard’s Kennedy School of Government. He served more than twenty years as an Army aviator and public affairs officer. Wellman founded ScoutComms to address the lack of veterans serving in public relations firms and to fill a gap in intimate knowledge of the military and veterans sectors. ScoutComms, Inc. is an award winning certified Benefit Corporation supporting veterans, military families and organizations committed to their well-being. Our mission is to empower veterans and military families through communications grounded initiatives and collaborative alliances that lead to greater awareness of veterans’ needs and expanded access to economic and social resource opportunities. We are one of the first B-Corps focused on veterans and military family issues in the world. To learn more visit our website at www.ScoutCommsUSA.com. To learn more about this award and how ScoutComms can assist your efforts in the veterans and military family communities contact Margaret Clevenger, mclevenger@scoutcommsusa.com or 978-833-3952 for more information.